The Mission Hills Vanity Set is a classic addition to any bedroom. 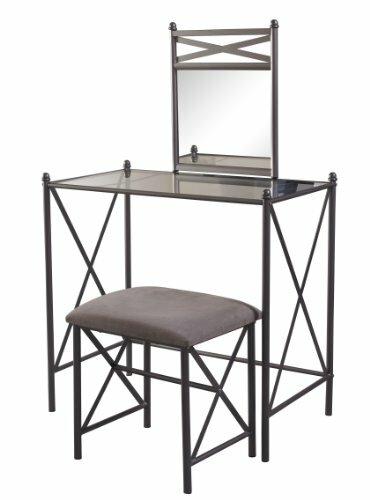 Perfect for a range of decor styles; the vanity has a cement colored finish. A matching stool features a plush neutral microfiber seat for comfort. The spacious glass top is ideal for store.